Personally, I have never been a big fan of deeply analyzing spring football “games”. There are so many things that are just not indicative of true game conditions. My opinions on the subject don’t matter, however, as over the course of the next few days you are going to read at least a half-dozen breakdowns of what Oklahoma did right, or wrong, in the 2018 spring game. With Baker Mayfield’s eligibility exhausted most have penciled in Kyler Murray as the heir apparent to the 2017 Heisman Trophy winner. After today’s spring game I would imagine there are some Sooner fans curious what it was they just witnessed and probably has them asking more than a few nervous questions. During a spring game, the quarterback is protected. The different color jersey means “hands off” and a head coach will be quick to yank someone over to the sideline who forgets this rule. This can really affect the mental approach of a quarterback. As a QB, in true game conditions, you have to constantly be aware of your surroundings without actually worrying about them. This means, a pre-snap read tells the quarterback there is a backside blitz coming and there is no one to pick it up therefore the QB must go through progressions quickly and/or check down to the hot route. The quarterback’s mind has to always be active. When that blue jersey is on, like Kyler Murray and Austin Kendall on Saturday, there be the tendency to get a bit relaxed. The lack of the threat of pressure can actually cause a quarterback to sort of go into a weird cruise control. As an example, think to when Mayfield was at his best. It was when the pocket was collapsing around him and he had a chance to improvise. That improvisation is dead in a spring game. I believe OU fans saw the product of that on Saturday. · I thought he looked a bit “leg weary”. He is being asked to do a lot right now between baseball and football. Viewers saw a bit of the toll that takes, even on someone who is such a high-level athlete as Murray. I think this is why fans saw some throws have not as much zip. Do you really believe, come September, Murray will regularly misfire on 12-yard curls? · Murray has the gift of being lightning fast. That blue jersey sort of takes that away from him. It almost looked like he was just sort of going through the motions of a passing drill, knowing there was no chance to really pull the ball down and be an athlete. That won’t happen come real games. · Spring practice reports have given Murray rave reviews. I don’t take one overhyped event as the sum of all those parts. He is an elite athlete and I truly believe he has the skill set to be one of the better quarterbacks in the country. Fans have seen him in actual live game action. He is not some dude who has never taken meaningful snaps. He will be ready. · I also thought Murray’s team was not as “stacked” as Kendall’s. · I was a bit disappointed in his performance but, again, he was wearing that dreaded blue jersey. Maybe it was unfair of me hoping he would show the signs of a guy who is well-versed in the playbook and has developed even better physical tools. · Kendall did not look very comfortable in the pocket which was strange to me since he knew he would not be hit. Some of it could have been a trust issue with the receivers he had on his squad (But, I would hope that was not the case). · The pass that bounced of Grant Calcaterra’s facemask in the end zone was a very catchable ball but Kendall needed to let his tight end have an opportunity to out leverage a shorter cover guy (in this case Bookie). Instead, he left it lower allowing Radley-Hiles the chance to get his hand into the line of vision. · The pass that followed, intercepted by Miguel Edwards, was just a very poorly thrown ball. Maybe the wind caused some of it but I also believe Kendall delivered the football late. · I still believe Austin Kendall is a good quarterback and his value to the 2018 team cannot be judged solely on a spring game performance. All of this to say there are going to be a lot of hypotheticals floating around for the next four months. 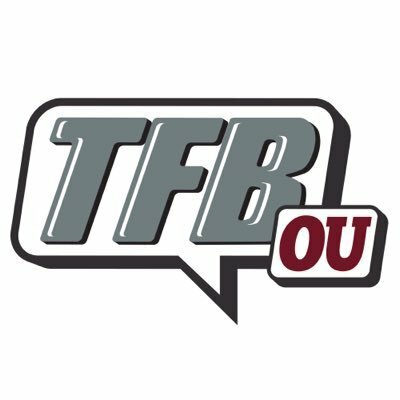 Oklahoma is in good hands with either Murray or Kendall. Personally, I think it will be Murray as QB1 when the season begins and I think Oklahoma fans will see the dynamic player at quarterback many have been clamoring to see for quite some time.